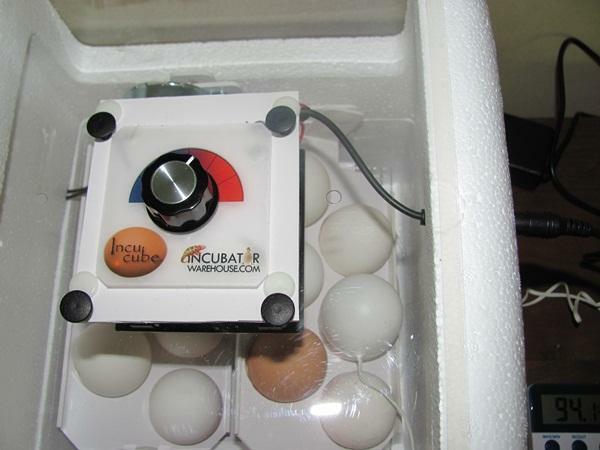 Set the eggs when temp was stable at 100.0 F for more than 2 days. The egg turnes cups were on the small side for my Brabanter eggs so I tried to just use the larger white. 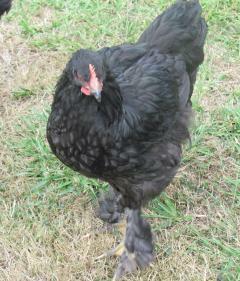 Also added to random brown eggs from Gus's flock as "something different" and compare notes on. The turner has been very quiet with gentle movement. Instead of the usual temp reader that would be inside the bator I went with the Egg-O-Meter reader. It looks like an egg and can be inside the bator with the reader outside. This worked very well. Since it did not read humidity I added a second reader from the drug store that also used a probe end. These two read the same temp with a difference of .3 degrees. 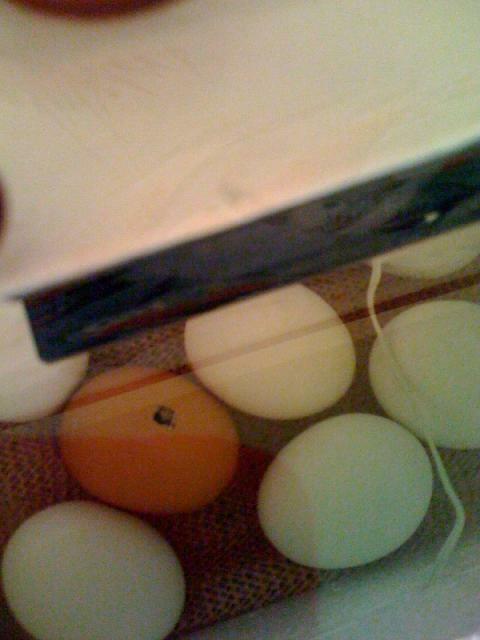 Given the placement of the probe location to the egg o meter I figure that was reasonable. September 2010 - Where does the time go? The group of 8 reduced to 6 (4 brabanter and two JG x) The runt and one other brabanter passed for unknown reasons. 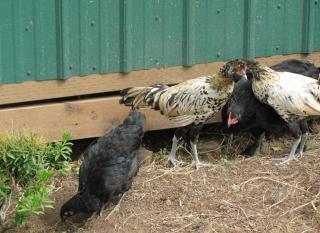 They have been enjoying daily free ranging since leaving the brooder. The Cochin / Jersey Giant cross is huge and I still can't tell if a roo or hen. 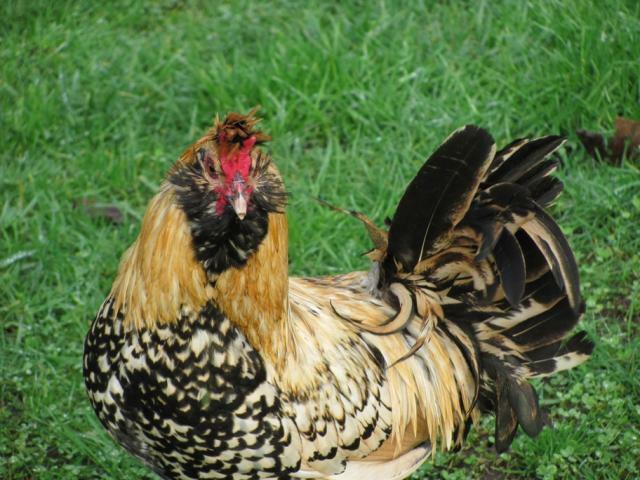 I think most of the brabanters are roosters so will be offering them up to new homes. 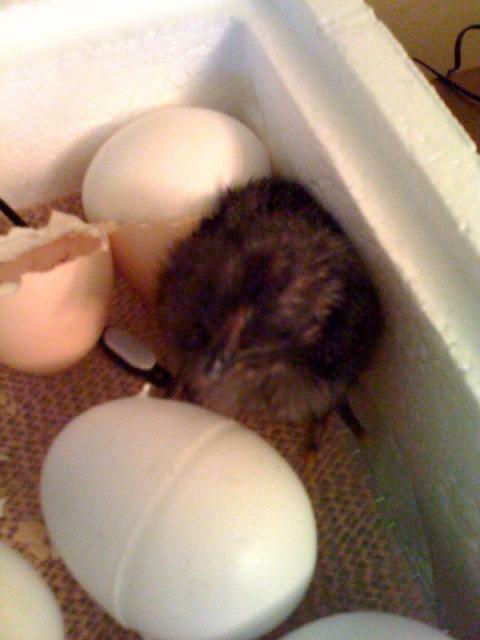 I won't be hatching more until after the first of the year. They are so handsome! 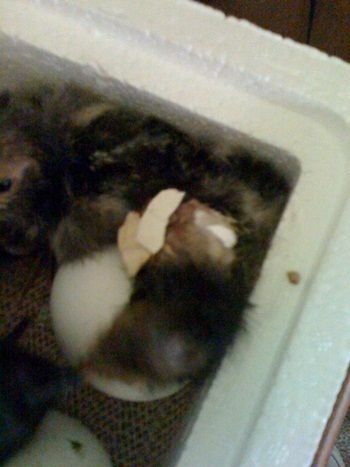 Here are two of the chicks from the brooder hatch that are now mature roosters.